Its back! We all enjoyed the 2012 Summer School so much we are running it again this year. The dates for this year are 15th to 19th July - more details can be found on the IDS website, Transforming Nutrition Ideas, Policy and Outcomes 2013 course. The details of the course are here (2013 flyer, 2013 programme and evaluation from the 2012 group). This year we will focus on the new Lancet Series coming out in early June and we will build on all the nutrition events that are taking place in the first half of 2013. We will also benefit from the feedback from the 2012 cohort (above). Please consider coming to Brighton and joining us for a fantastic week. To get an application form, please email us at nutrition2013@ids.ac.uk or visit www.ids.ac.uk/nutrition2013 and complete the online application form. If you have any questions feel free to email me at l.haddad@ids.ac.uk or submit some comments below. It was graduation day yesterday and I got to read out the names of the graduands from IDS (graduands is the term for students about to be conferred degrees). The ceremony was at the Brighton Dome, a fabulous venue which was packed with graduands and their families and friends. The Chancellor of the University of Sussex is Sanjeev Bhaskar an actor, comedian and documentary film maker. He was pretty funny. 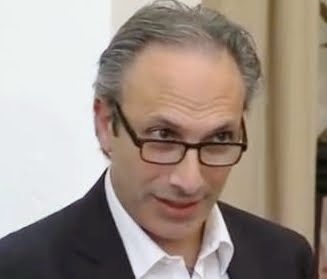 My favourite jokes: "I am proud that the University of Sussex has established a new Centre for the Study of Corruption--and they paid me £50 to say that." and referring to the 50 professors on stage as "50 Shades of Grey". I always find these ceremonies moving but this one more than most. First, David Stone, the Paralympian, received an Honorary Doctorate. David was a graduate of the School of Social Work 5 years ago. Since then he added to his golds in cycling from Beijing in 2008 with another two medals at the London Paralympics. David has cerebral palsy and his story is remarkable. I found his determination to be a social worker even more extraordinary than his cycling achievements. To be able to function effectively in his profession with his disabilities requires incredible determination, self belief and skill. Inspiring. We also had the honour of awarding a MA from IDS to Member Feese (pronounced Mem-bay Fee-se). On August 26, 2011 a bomb exploded in the UN building in Abuja, the capital of Nigeria. It killed 21 people and wounded nearly a hundred more. Member was one of those wounded. She was waiting to get some data for her Masters Dissertation. Member spent months in hospital in recovery. But one year later she came back to her studies and back to Sussex. During her rehabilitation, I got to know Member better and to meet her wonderfully supportive family. During this time she has become an inspiration for me and for so many of us at IDS and the wider Sussex community. Why an inspiration? Because while she was wounded in the attack, she was not bowed. Her determination to finish her degree and her commitment to learning have been extraordinary. And her commitment to international development is stronger than ever. 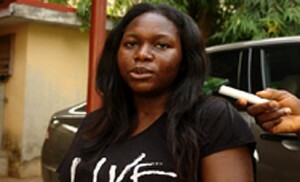 She is now working in the Central Bank of Nigeria and has established her own NGO in Nigeria, Team Member. See a video of her incredible story here. Member, we salute your courage and we are all proud to be part of Team Member. OK, it's here. The blockbuster production from over 100 INGOs. Each of these 8 headings has a series of asks (or "shoulds") of the UK government: 24 in all. 2. Only 5 are spending asks and the rest are policy or charter changes. This is good--development is not just about money. 3. Interestingly only 9 of the asks are things the UK government has complete control over--testimony to the multilateralism that is so desperately needed to deal with development today but which is in short supply. 5. What's missing? I would have liked to see more on social protection (establishing a food security or nutrition "floor"), more on building infrastructure (such a key factor in allowing farmers to get products and inputs to and from markets), more on managing food price volatility, and more on the need to make agriculture and safety nets more nutrition sensitive. But choices have to be made and, again, I am sure the 8 topics chosen have the most resonance with the UK public (the key audience I presume). 6. Finally, I would have liked to have heard about what the INGOs themselves are going to do differently to help end hunger--in partnership with the UK government or not. One thing would be to make sure their food security response, relief, recovery, rehabilitation and development work is linked and seamless. But the final thing to say is congratulations! I am impressed that so many INGOs managed to work together to agree on this. It deserves our full support. This statement is from a new Coca Cola ad. The ad informs us that a can of Coke contains 140 calories. I think this is pretty revolutionary. A carbonated drinks manufacturer using the o-word in one of their ads? I think it is a clever move. “Coke cares more than the other manufacturers, that’s why we are the first to tell you straight” (this is my ad copy, not theirs). It must reflect a change in demand and gathering class action suits. Think “Big Fizz meets Big Tobacco”. I suppose if they REALLY cared about consumption, they would be leading the way on banning supersizing, leading the way on giving their low calorie products a price edge, and developing more responsible ads for children. Obesity is really shocking—now 1 in 3 Americans and 1 in 4 Brits. But this is a start, and a good one. Or is it all really a nod to the twitterati? After all, 140—the maximum number of characters allowed in a tweet—is rapidly gaining iconic status (not to mention brand recognition). Why are stunting rates of children in India (above 40%) higher than so many much poorer countries in sub-Saharan Africa? There are many theories out there: women’s status is lower in India, the international growth standards do not apply to India, and poor sanitation. A new paper by Dean Spears at Princeton sheds more light on the sanitation theory. The paper uses three different empirical strategies to estimate the causal relationship between open defecation rates and child height. It concludes that open defecation is responsible for “much of the excess stunting in India”. The 3 strategies? (1) use all DHS surveys ever conducted that have both stunting and sanitation data (about 140 country-years) and collapse them to the mean and then run regressions on child height and a range of controls country level controls, (2) use cross sections of NFHS surveys from India to construct district level panels (the same subdivisions of states, with mean values within each district) and run similar regressions to (1), and (3) use the full set of DHS data from Sub Saharan Africa and India, this time at the child level, running similar regressions to (1). All three strategies show large and statistically significant relationships between open defecation and child height, controlling for a range of other variables. The paper is an important contribution because (1) of the triangulation of results via multiple methods, carefully done, (2) the suggestion of why even high income groups in India have many more stunted children than similar high income groups from other countries (the effects of open defecation cannot be escaped even if households have improved sanitation within their residence) and (3) because it explores rural-urban differences (open defecation seems more important in urban areas). 3. A more general formulation of the previous two points: the regression specifications do not seem to be sufficiently driven by the nutrition conceptual model with food, health, care and watsan as underlying variables, often mixing in income and other variables with these underlying determinant variables. It is good to have more solid evidence on open defecation to back up some of the guesses in other papers (see here). And like all good papers, it makes the reader wonder why this analysis had not been done before. The really big puzzle is why take up of improved sanitation is so slow in India (55% in 2006 and 64% in 1998: barely an improvement of one percentage point per year—at that rate it would take 50 years to get to 5% open defecation)? Leadership is an under researched issue in development. The emphasis has been largely on policies and programmes, latterly on institutions and politics. But politics means people. Individuals, relations, coalitions, alliances. I just came across the excellent Developmental Leadership Programme (DLP) --an international policy initiative supported by targeted research supported by the Australian aid program. This paper gives a good overview of the work of the programme, led by Adrian Leftwich. The DLP is clear that leadership is not a matter of individual leaders, but is a political process. This is something I am very interested in in the context of scaling up nutrition. The Transform Nutrition research programme, led by IFPRI and supported by DFID, has a strand of research on nutrition leadership. On leadership of a different kind, a friend of mine has started a leadership mentoring programme for managers in the UK to do pro-bono work with small business in Swaziland to support them in developing their ideas. In return they learn about themselves and about the challenges of being an entrepreneur in another context. It is called the International Leadership Challenge. An interesting model -- and one well worth evaluating. Every now and then I have a guest bloggers on Development Horizons. Jessica Fanzo is someone who is always in the middle of interesting things and takes the time to reflect on them. Here she writes about her recent work in Timor-Leste. By Jessica Fanzo, Assistant Professor of Nutrition, Dept of Pediatrics, Columbia University. I recently had the opportunity to travel to Timor-Leste to work with a local organization, Seeds of Life, a program within the Timor-Leste Ministry of Agriculture and Fisheries, supported by AusAID and the Australian Centre for International Agricultural Research (ACIAR). The work is focused on integrating nutrition into its food security efforts at a national scale. Timor Leste is a country steeped in a history of conflict and conquests, which have resulted in stalled development and progress on all fronts. Healthcare, food security, infrastructure, and capacity are all lacking in a serious way, with the exception of political will. This small island of 1 million has been independent for only one decade, and now with UN Peacekeeping forces pulling out as of December 31, 2012, Timor-Leste is beginning to mark its own path on what will likely be a long road towards development. 1. Poverty: The country is a brand new country, and they have a long way to go to rebuild their nation after 70% of its infrastructure had been destroyed. They are now building the political architecture moving forward. Timor-Leste has dedicated significant efforts towards improving the country’s financial and human resources, which remain limited. 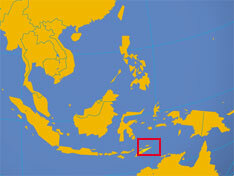 The country sits on massive amounts of oil in the Timorese Sea, which is worth billions. It will be interesting to see how they spend these funds on their citizens beyond just pensions for veterans who fought in the resistance. But with the absolute poverty line at US$0.88 per day, and with major issues of high youth unemployment and increased poverty rates in rural areas, investments will need to be made in areas such as agriculture and rural infrastructure and technology. 2. Dietary Diversity: The Timorese eat a lot of starch – potatoes, cassava, and rice. Rice rules in Timor-Leste but comes from Vietnam. They don’t eat much meat, and are low consumers of fish, although they are surrounded by water. Most Timorese are subsistence farmers working on marginal lands with nutrient-poor, shallow soils, so food insecurity in general is high and the dry season takes its toll. 3. Primary Health Care and Culture Links: Sanitation and hygiene is a huge issue and health care services are sparse. Dengue and malaria are no joke. Knowledge on childcare practices and traditional cultural taboos and rituals tend to dictate decision making, the way limited funds are spent, and what is purchased at the household level. Cockfighting is a huge business, often at the expense, and this is just a hypothesis, of spending money instead on necessary childcare. 4. Capacity Development: Capacity to deliver interventions, to govern the country and scale up development efforts remains a huge issue. Now that the Peacekeeping Forces have pulled out, it is time for donors to start thinking about how to invest in capacity development for Timor-Leste as a part of the country’s overarching development plans. 5. Access: Access to markets, to healthcare or healthworker, and technology remains scant at best, particularly in rural areas. Timor-Leste is very mountainous – and the roads are god awful. The north to the south of the island is only 120 kilometers but it takes 5 hours by car to make the trek. Lucky for me, I was in a car. There are only 1 million people on the island, and they are squeezed in between Indonesia and Australia, countries of growth and prosperity respectively. What a great place for donors to come to the table and make some investments with high impact. Investments in rural agriculture (from rice production to coffee to vegetable and fruit production), community health and extension workforces, and improving the capacity in the government are doable, in a short time period. There is only one nutritionist in the Ministry of Health for the country! On the nutrition front, I hope Timor-Leste joins the SUN movement to demonstrate their commitment to improving nutrition in their country. Tourism could be huge in Timor-Leste. Investments in ecotourism along with some help on how to keep beaches clean and how to build a tourism industry is desperately needed. By working with the Seeds of Life team, we are trying to improve the nutrition within the varieties selected for their national seed system, and providing nutrition education and knowledge to cooperatives of farmers working in the formal and informal seeds systems in the country. We are starting at the basics of food security, the seed. I think it is a good place to start. As we enter 2013, I hope we will see a Timor-Leste on its own, independent, and beginning to prosper. A country where the cycle of stunting is broken and children grow, learn and become prosperous citizens. The time is now to pull for Timor-Leste. They deserve the chance. Waste Not, Want Not, Incentivise Not: What to do about food waste? Yesterday the UK's Institution of Mechanical Engineers ("the fastest growing professional engineering institution in the UK. Our 100,000 members work at the heart of the country’s most important and dynamic industries." 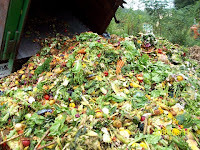 - from the website) released a report on the extent of food waste, the drivers and what to do about it. The report was written by Dr. Tim Fox and a team of other mechanical engineers. 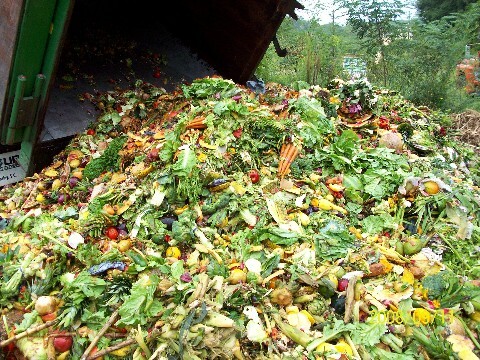 The report says that food waste estimates range from 30-50% of all food grown. The UK Government's Foresight Report says 30% is the estimate. Either way, the waste is large. How much occurs at different stages? Data are difficult to come by, but for the UK the Foresight report says about 50% of UK food waste is in the home (people throwing out of date food away, plate scrapings, discarding edible parts of food in preparation), 25% in the food service industry and 25% in the food distribution system. Of that total the Foresight report suggests that about 2/3 are avoidable losses. In the emerging economies, a much greater percent of the waste (we think) is in the food production, storage and distribution system--foot rotting in storage, damaged in field, spoiling during transportation, contamination in processing, spillage in packaging, destructive quality testing etc. Policy options? In richer countries, "embrace irregularity" in your fruits and veg, review "sell-by date" science, incentivise food waste recycling, better education in schools, set waste reduction targets in public facilities, regulate retail promotions that encourage excess purchasing and consumption, and adopt public national targets on reducing food waste. In other countries, invest in new infrastructure and technology to minimise waste. As always incentives are key, and these are political. It is difficult to imagine food companies and retailers giving incentives to customers to buy less. Governments want companies to do well to create jobs and tax revenues. Governments are also nervous about intruding into home life. In poorer countries, the issue is more outside the home than inside it and infrastructure has been a rather neglected issue in the development/MDG discourse. And Governments want to encourage supermarkets to set up shop, less so to regulate them. Ultimately civil society groups need to organise better at local, national and international levels to force their governments to do something about food waste. 1. It was interesting to read a report written by mechanical engineers--more emphasis on technological solutions, but an acknowledgement of the importance of politics. 2. Why was this report highlighted by the media so much more than the Foresight report (which I though dealt with this issue more comprehensively--not by me, by the way)? Perhaps because it was a single issue report. 3. The connections of this agenda to obesity (incentivise less overconsumption) and sustainable diet agendas (monitor resources used in production and consumption) are clear, but not as well articulated as they could be. 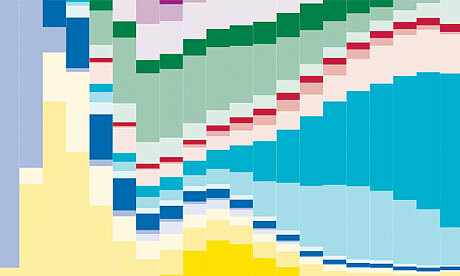 Last month, the Lancet released a series of papers updating the Global Burden of Disease estimates from 1990 for 2010. It is a mammoth effort involving hundreds of researchers from several institutions. A fantastic achievement, then, but no real surprises. The headline for me is that non communicable diseases continue to grab bigger and bigger shares of the global burden of disease (from 43% to 54% over a 20 year period), but that in the poorest regions there is a major case of unfinished business on the communicable disease front. Between 1990 and 2010, DALYs (disability adjusted life years, combining mortality and morbidity) per 1000 people from 291 diseases and injuries are down in 18 of 21 regions (the three that show increases: Caribbean, High Income Asia Pacific, and Southern Sub-Saharan Africa). This decline is partly due to population ageing and fewer DALYS from communicable maternal, neonatal and nutritional disorders. The shift in DALYs from communicable to non-communicable diseases continues: in 1990, 47% of DALYs worldwide were from communicable, maternal, neonatal, and nutritional disorders, 43% from non-communicable diseases, and 10% from injuries. By 2010, this had shifted to 35%, 54%, and 11%, respectively. By region: diarrheal disease was the third most important disease burden contributor for South Asia. Protein energy malnutrition was the 6th, 3rd and 6th most important factor for East, Central and West Sub Saharan Africa respectively (but only 19th for South Asia). Iron deficiency anemia was 9th ranked in South Asia and 11th-12th ranked in east, west, central and south Sub-Saharan Africa. Diabetes was the 8th most important factor in South Sub Saharan Africa. Globally, childhood underweight (low weight for age in children under 5) has dropped from the top risk factor in 1990 to the 8th overall in 2010 (out of 67 risk factors in total). Diets low in fruit rose to 5th from 8th, high Body Mass Index (overweight and obesity) rose to 6th from 10th, iron deficiency dropped to 13th from 11th and suboptimal breastfeeding dropped to 14th from 5th. In the poorest regions, childhood underweight remains the number one risk factor in Western, Central and Eastern Sub Saharan Africa. In South Asia it is the 4th most important risk factor. Diets low in fruits ranked between the 4th-13th most important risk factor in South Asia and Sub-Saharan Africa regions, highlighting it's importance for over and undernutrition, even in the poorest regions. High body mass index was in the top ten of risk factors for all 21 regions except South Asia (17th) and East, Central and Western SSA (14th, 18th and 15th respectively). Vitamin A and zinc deficiencies fall out of the top 25 risk factors (from 17th and 19th respectively in 1990), globally. Globally, drug use is the biggest climber to 19th (from 25th).